Yesterday, after going for a walk, I see a giant box outside my door. As I get closer I realize that it is a new chair. This is my last semester of medical school basic sciences. Basically, this means in May I have a test called the USMLE that plays a big factor in what type of doctor I can be. With that being said, this semester calls for a lot more studying than usual. I wanted a chair that would allow me to study for long periods without feeling like I got hit by a train. I opened the chair and realized that the chair needed to be built. Great. Reading and following directions have never been something I do very well. I started using the tools given and placing the screws where they needed to be. I had to unscrew them and redo it because I put the base of the chair on backwards! The process was not going very well. Eventually, I asked my fiancee for help. Yes, I definitely did feel humbled. After we finished we had one screw left. However, the way the chair was assembled it was impossible to put the screw in. The two holes would not line up. After some time trying it was either rebuild the whole chair (hours!) or leave it. The chair was still sturdy. It could function as any chair would. However, it was just missing one screw. Later my fiancee said something to me that struck me. We all have our missing/loose screws. Areas in our lives that we are ashamed of. Aspects of our personality or character that we wish would change. This story is a reminder to not lose heart. 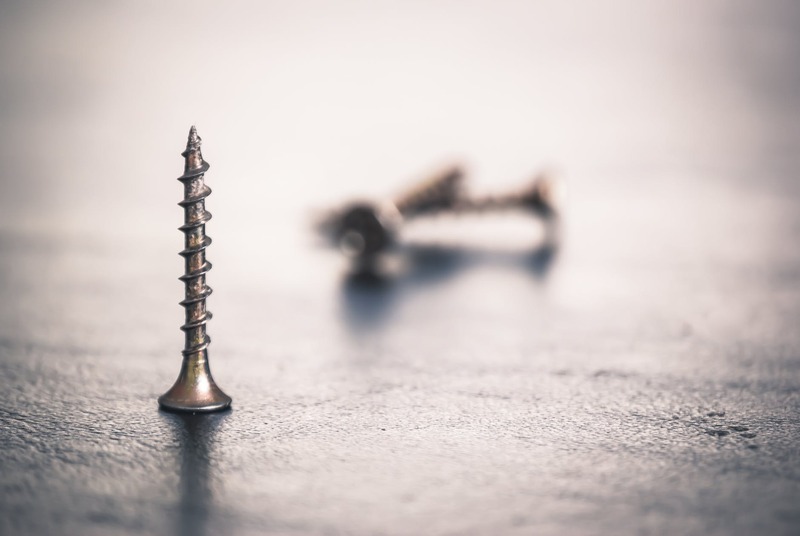 You can be missing a screw and still pursue your God given purpose. Focus on your goals not your unfilled holes. Next Mom, am I a danger to you?